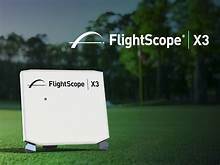 FlightScope is a doppler radar system that can provide up to 50 pieces of data for every shot! Short game to driver are covered. Why frustrate yourself trying to figure out why your shots are either off line or distance control not as it should be. The FlightScope Training Program is your answer. FlightScope can go from information / report gathering to training to work on the necessary swing points to ensure your success. The program is designed to help and correct swing path and club face issues, short game accuracy and distance control. You'll have the opportunity of taking your lessons with FlightScope, but more importantly practice with the FlightScope to engrain proper swing mechanics. FlightScope is it's own hotspot, so you can use your phone or tablet when practicing. Once you've used FlightScope for your swing training you can test out your new skills using the combine feature in FlightScope. There are 2 distinct combines, short game and full swing. For the short game combine, we can set it up for any distance on the driving range or short game area. You'll be awarded points for shots landing in specified areas of your choice! It's a great way to work on your short game, control your distance and have fun while learning!